Last month, I went on a 2-day & 1-night trip from Hong Kong to Macau via high-speed ferry. Even though Macau is no longer a Portuguese colony, you can still see the Portuguese influence in their cuisine to this day. 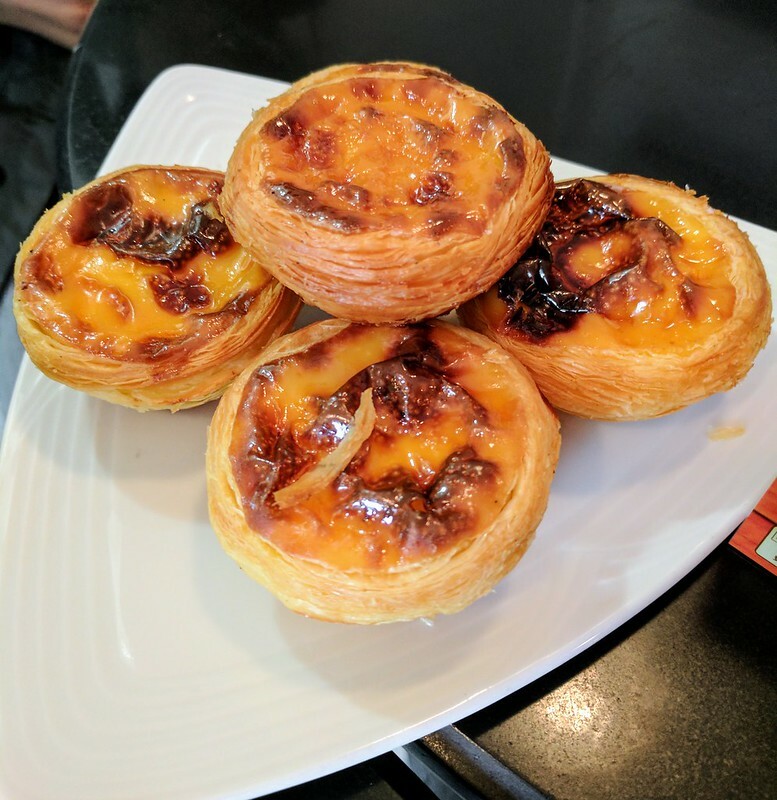 For example, Macau’s famous egg tarts were influenced by Portugal’s pastéis de nata. 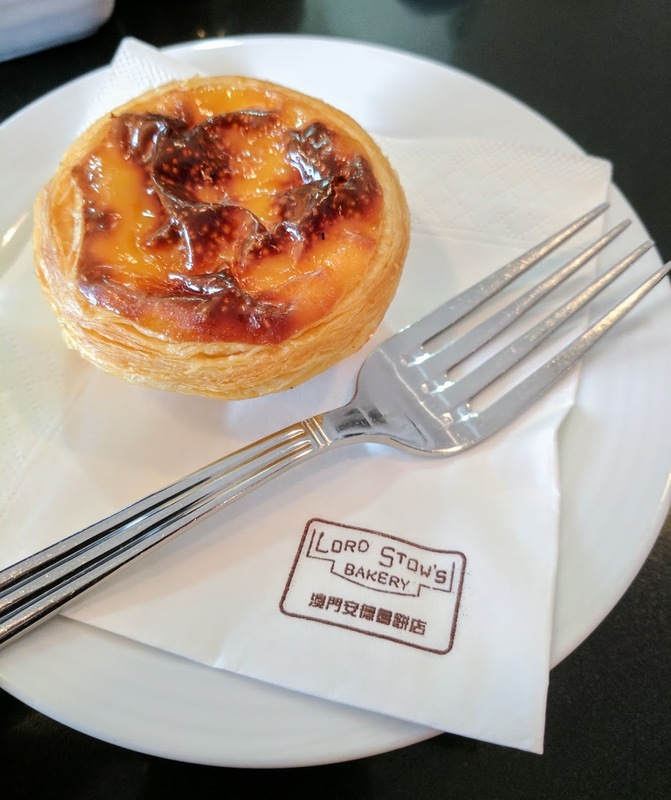 The first café we stopped at was Lord Stow’s Bakery (安德魯餅店), for their world renowned Portuguese-style egg tarts! 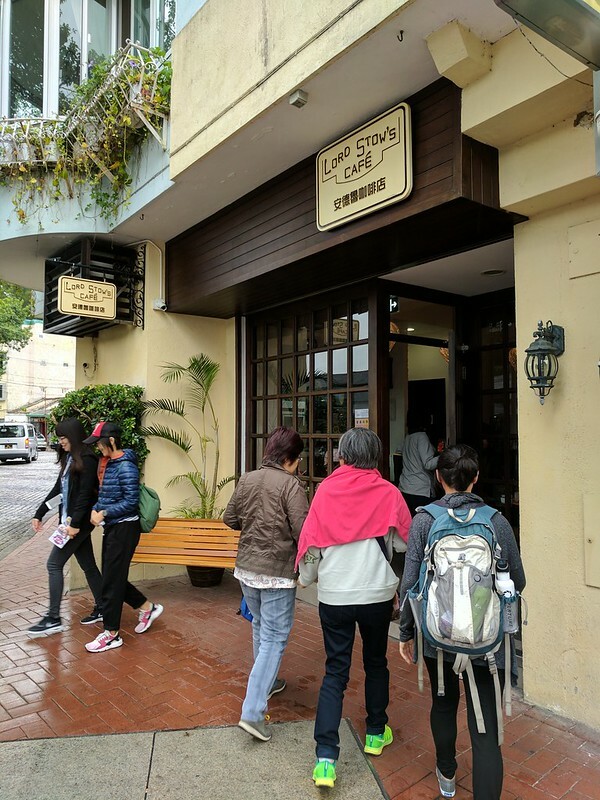 Lord Stow’s Bakery has several locations throughout Macau. I can’t speak for the other locations, but the café at Coloane Village on R. do Tassara had other desserts and drinks as well! We all got one egg tart ($9 MOP each). The egg tarts were brought out piping hot, each one very delicate with a thin and flaky crust. 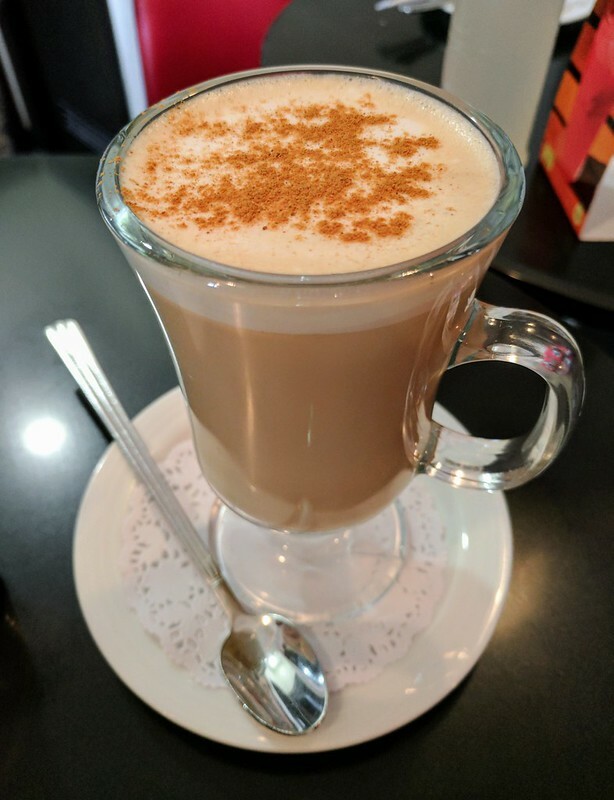 I also got Bailey’s Latte, for $32 MOP. Yummm…! Lord Stow’s Bakery is a must-visit when in Macau! You cannot get these delicious egg tarts anywhere in Hong Kong. Sure, HK’s KFC has them for $7 HKD, but it is tinier and does not compare to Lord Stow’s!